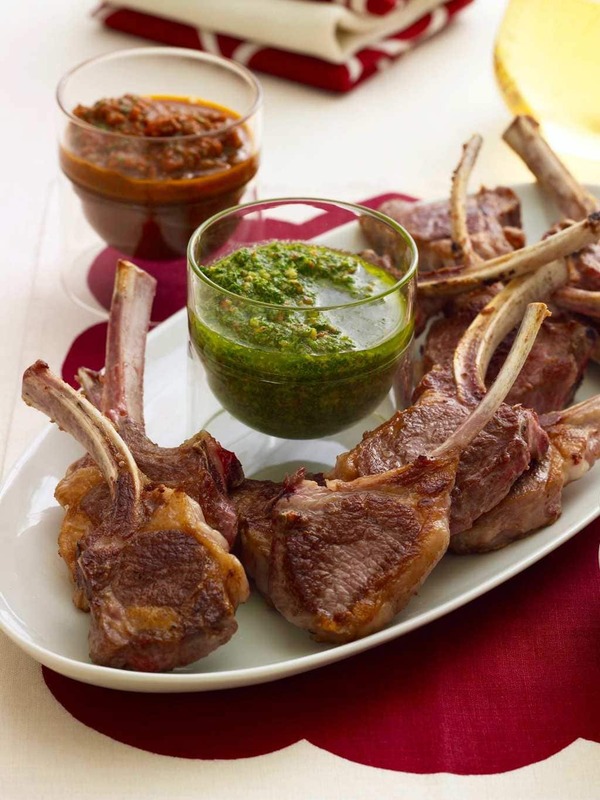 Baby lamb chops with festive holiday sauces are as elegant as they are delicious. 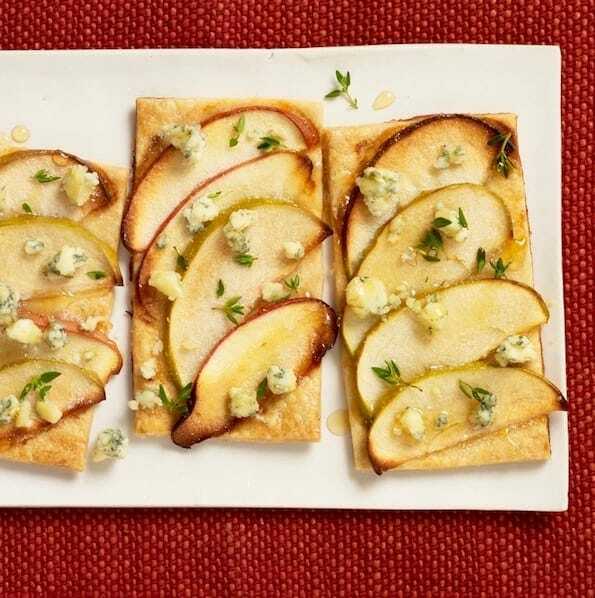 This easy-to-make appetizer is perfect for any celebration. 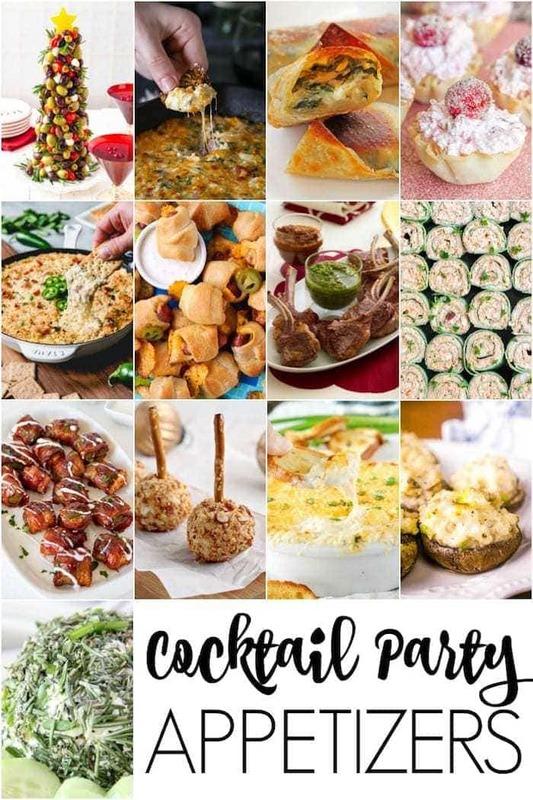 A party buffet needs all sorts of delicious, and festive dishes. 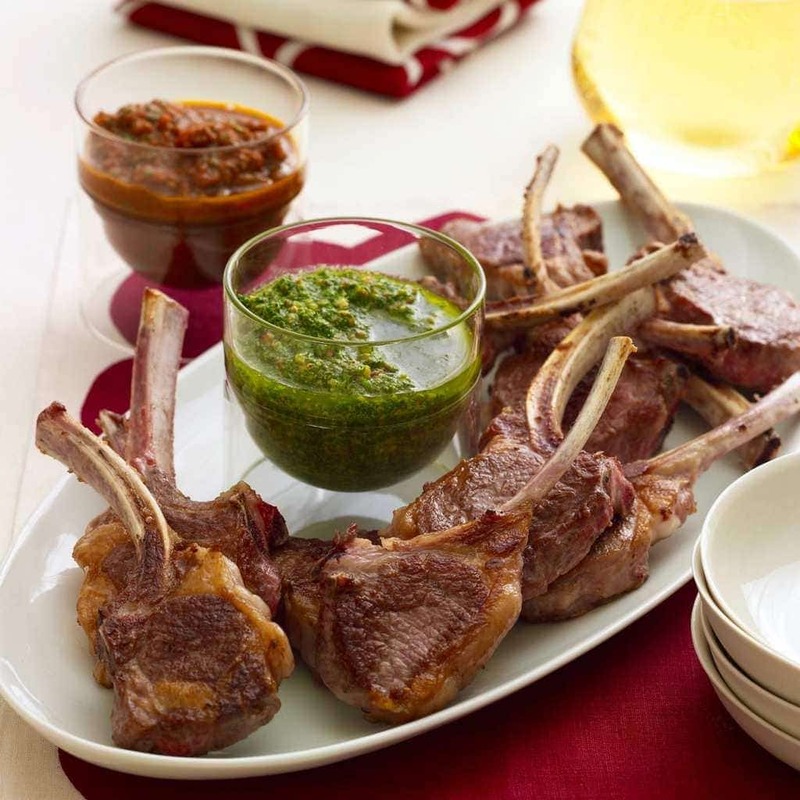 Baby lamb chops, with frenched bones for handles and red and green sauces, are just what your holiday table needs. 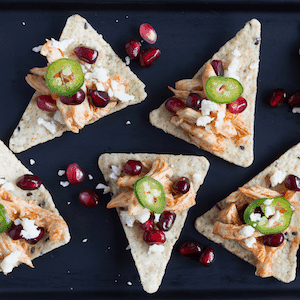 For a more playful holiday appetizer, try my Chicken Bites Christmas Wreath. 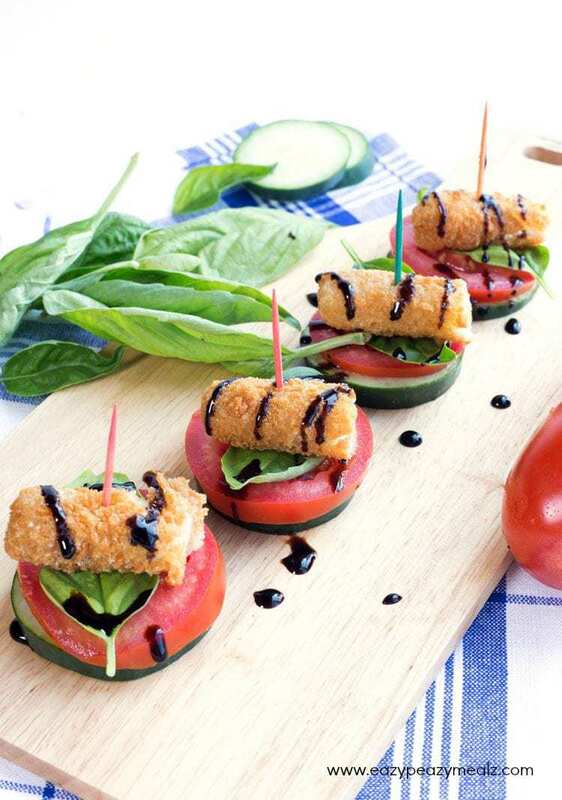 A savory and colorful finger food. What is a baby lamb chop? Lamb chops or cutlets are from the rib of the lamb. They are the most expensive cut of lamb, so they are a special treat. These lamb chops are cooked individually (best served slightly pink inside). When several baby lamb chops are left together it’s called a rack of lamb. You’ve heard of that! There is a difference between baby lamb chops or cutlets and lamb loin chops. Lamb loin chops are like mini T-bone steaks. For the baby lamb chops, the bone is often frenched. This French trimming of the ends of the rib bones is simply scraping the bone clean. 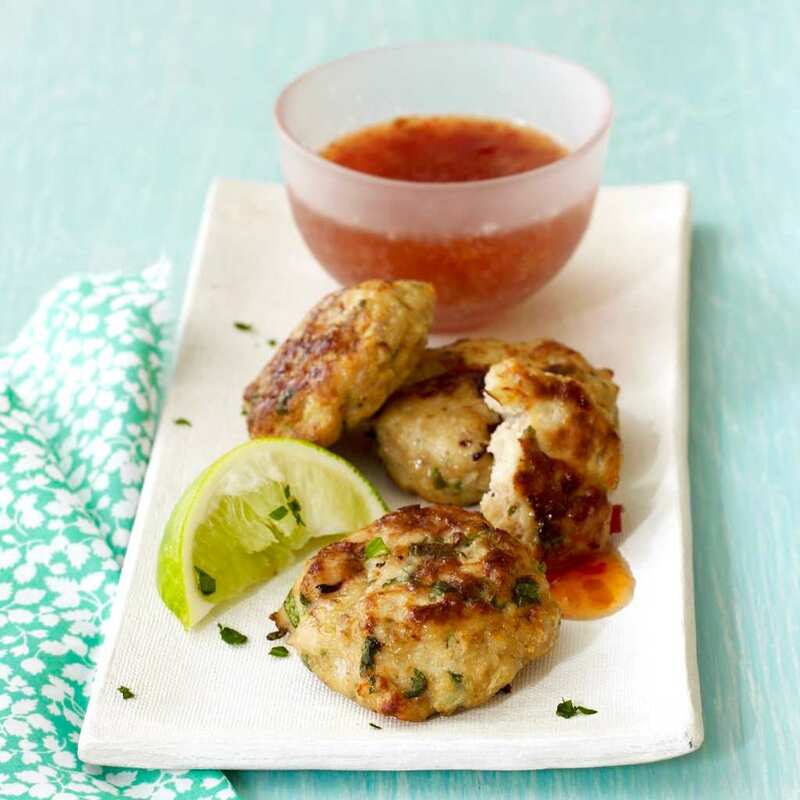 This makes the chops look pretty, and also acts as a handle, making these little gems perfect for appetizers. If your butcher or store doesn’t have cutlets, you can simply buy a rack of lamb and slice it into cutlets yourself. Or ask the butcher to do it (and french the bones while he’s at it!). Since baby lamb chops are quite expensive, they are a special food, and you don’t want to overcook them. I love the American Lamb Board’s chart for cooking temperatures as a reference. These baby lamb chops can be cooked similar to the loin chops and should be cooked to an internal temperature of 145ºF for medium-rare. For medium cook them to 160ºF. Please don’t cook them to well-done. They won’t be delicious. They will be dry and hard to eat. I love using a good meat thermometer to check the temperature as they cook. Adjust your cooking time accordingly. Remember even these small cuts of meat continue cooking a couple degrees after you take them off the heat. What should I serve baby lamb chops with? For an appetizer or party nibble, I’ve created two festive sauces. Both go well with the lovely flavor of lamb and they are red and green for Christmas! You can just choose one, or serve both. Lamb is very flavorful, so it’s fun to balance that with flavorful sauces. Traditionally lamb is often served with mint, or mint jelly. My green sauce is an herb pesto with mint, but just a hint so that it’s not the only flavor. The red sauce is a sundried tomato pesto with a little vinegar for tang. It’s so delicious. Serve the lamb chops with plates and the sauces with spoons so guests can put a little of each sauce on their plate. 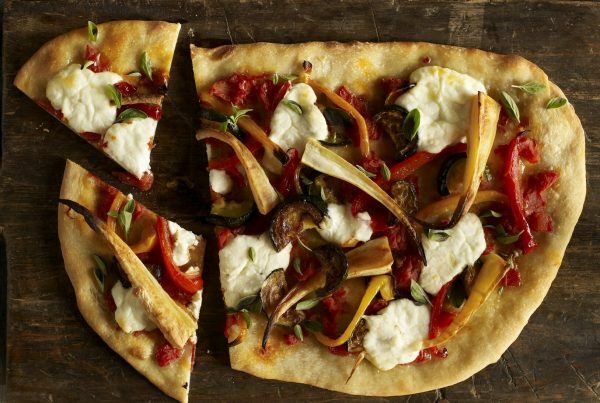 Depending on how many people you are serving, you may want to double this recipe. If you do you can cook the baby lamb chops ahead and keep them warm in a very low oven. Just make sure to undercook them a bit as they will continue to cook in a warm oven. I’d suggest sautéing them on a slightly higher heat to brown the outsides and cooking them to an internal temperature of 138ºF-140ºF (rare). Then they can rest in the warm oven while the party gets started! 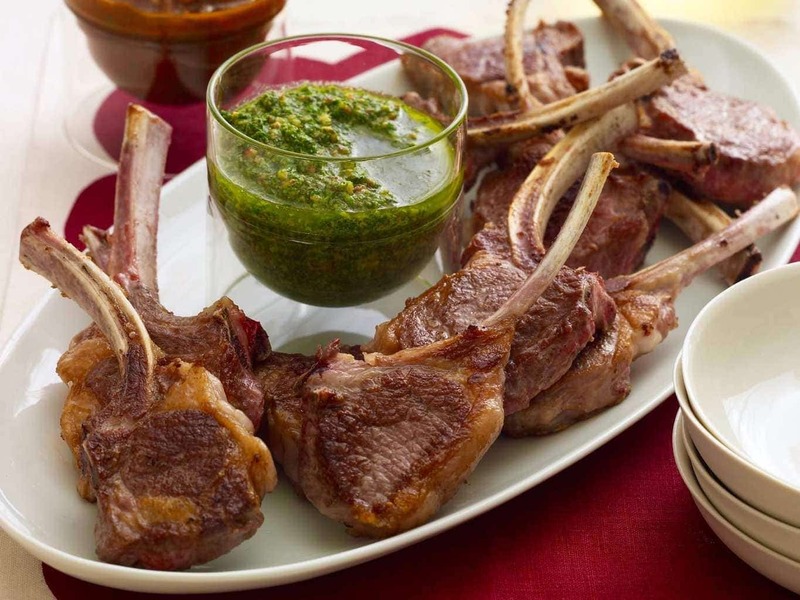 Two tasty dips add classic holiday color to your lamb chops. 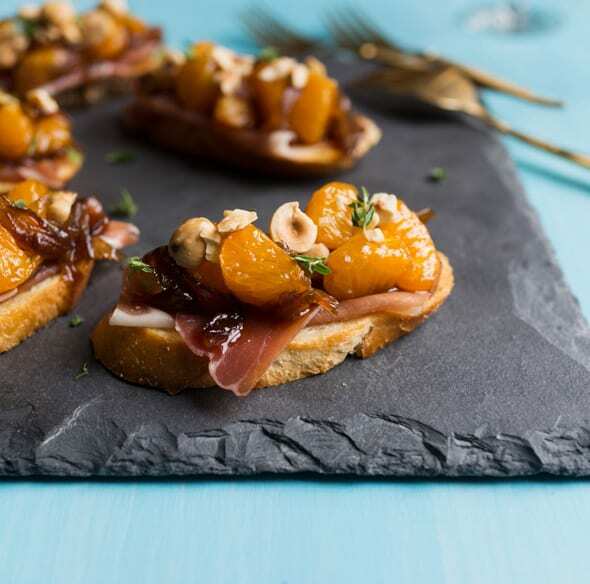 This appetizer is perfect for a celebration. You can make sauces ahead of time. Salt both sides of the lamb chops. Heat oil in a large nonstick skillet over high heat. Cook in two batches, turning once until chops are deep brown and cooked to medium-rare, 9 to 11 minutes total. Serve with sauces. For the red sauce: Combine the water, sundried tomatoes, basil, vinegar, sugar, cumin, salt, garlic and black pepper in a food processor and process until smooth. For the green sauce: Combine the parsley, mint, olive oil, almonds, anchovies and lemon juice in a food processor and process until smooth. Sauces can be made ahead and stored in airtight containers in the fridge up to a day in advance. *To French lamb chops, cut any excess meat from the end of each rib, scraping bone clean with the back of a knife. You can also ask your butcher to prepare the chops for you in this manner. I have some wonderful food friends with fantastic cocktail party appetizers. 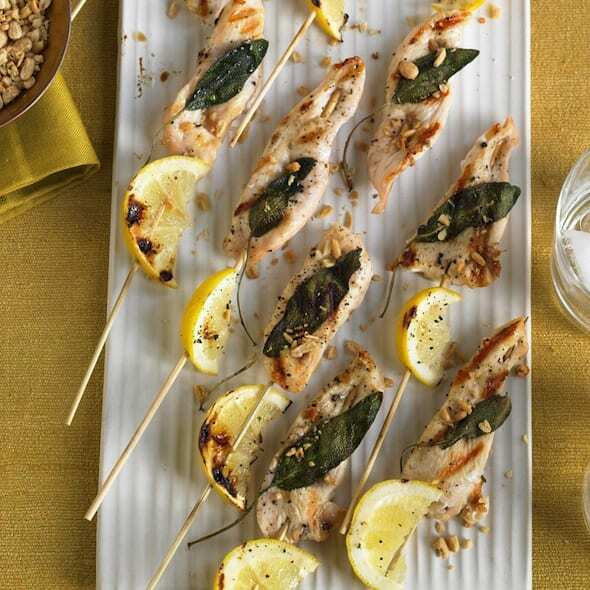 You can create an entire event from these delicious and easy recipes. 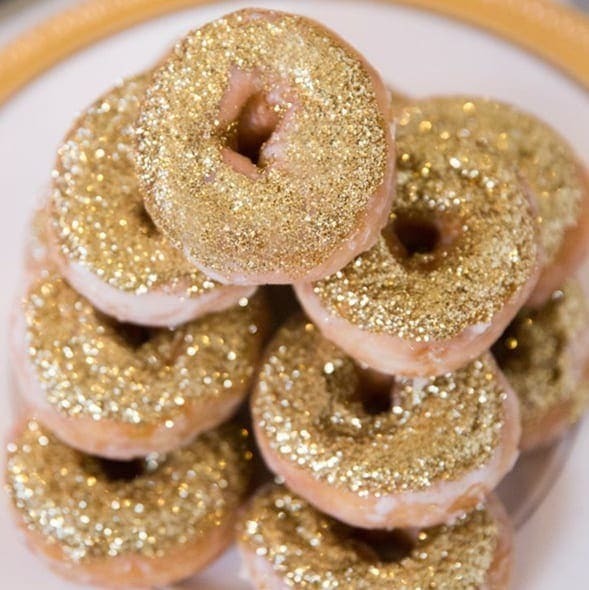 Love this for New Year’s! Thanks for sharing.